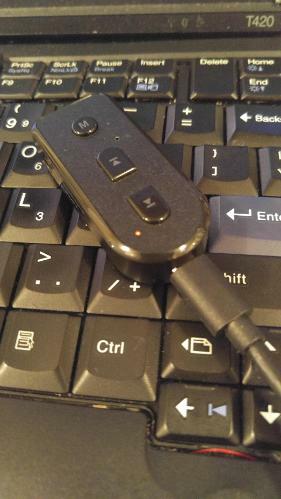 Sub-$30 Bluetooth receiver does its job properly and free of annoyances. 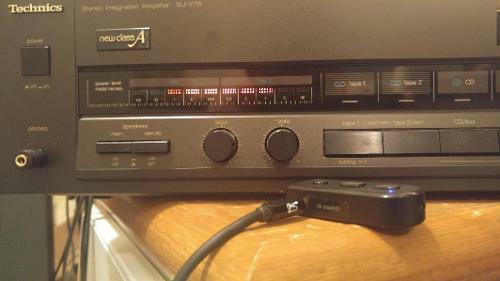 I have had this receiver for a little over a quarter of a year now. While it got regular use on my stereo in the past, it became a staple item after I set up an Android TV box. After getting used to using my PS4 controller built in 3.5mm jack with my earbuds, I wanted something similar for my TV box.... and then realized I had the inateck! It's had no problem powering any of my headphones directly out of it, with the exception of high impedance ones, which is to be expected. It does not get ear bleedingly loud, but louder than you'd want with anything 150 ohms or lower. Highly recommended. Great to use with Kodi/etc media centers as a quick and painless way to listen with your headphones wirelessly. 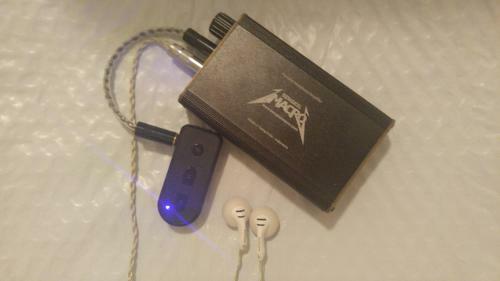 Normally I would put a preamble here about the kinds of music I listen to, blah blah blah, but this is a Bluetooth receiver, not a set of headphones, and as you will read later on I try it with a large variety of music styles and with different gear setups. A little Googling revealed the BR1004 uses the BlueCore® CSR8635 Bluetooth audio module. It is extremely small in size - about as large as a small flash drive, and comes neatly packed in a cute tiny box with a tiny manual in English, German and Japanese. I noticed when Googling that there are already many positive impressions of the BR1004 on Amazon Japan. 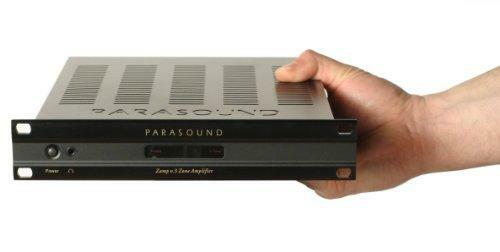 I am happy to say I have favorable impressions of this receiver after putting it through some tests. 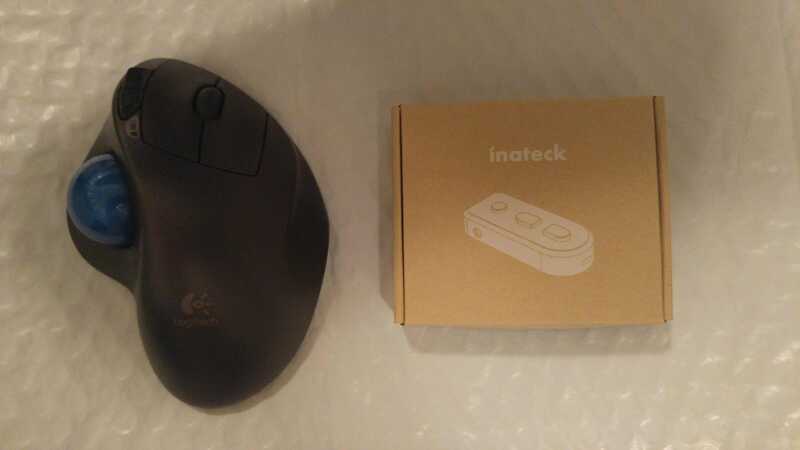 Even the box is small next to a computer mouse, as you can see. 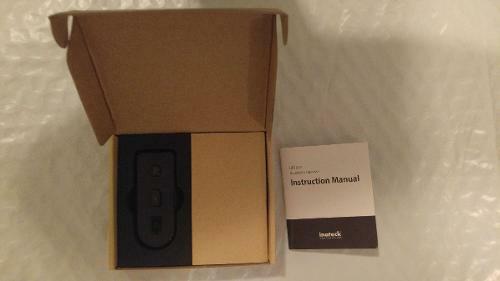 On the right side of the box under the cardboard is a microUSB cable and a small 3.5mm stereo cable. I plugged it into a USB wall charger and about 3-4 hours later it was full, so I got to testing. The manual is very concise, which is not a problem as setup was a breeze, especially compared to some other Bluetooth receivers I have owned in the past. Simply switch it on, wait for the light to start blinking alternating red & blue, and set your Bluetooth enabled device to find the BR1004. Pairing took no effort or entering any PINs, it connected itself and was ready to go. My first test was with whatever was in arm's reach, just to see if nothing else that it worked. I plugged it into my Bengkel Macro bMac 3CH MK2 amp, plugged my Shozy Cygnus into the amp, and slowly turned the volume up. It was quieter of a signal than my FiiO E18, so I had to turn it up a bit more, but it was there and sounded just fine! I listened to a few songs I had just played through my E18 and could not immediately notice a difference in quality. So far so good. I grabbed my Bluetooth enabled devices (LG V10, Kenwood DAP, ThinkPad laptop) and got ready to get to work. One problem I have had in the past with Bluetooth receivers is interference and bad range. The manual says you get best results in a 1 meter radius. I was hoping it would be at least as good for that range. I was very pleasantly surprised to find that no matter what device I used, I did not get dropouts even when slamming the devices playing music with heavy wifi or walking anywhere around my apartment. My apartment is not gigantic but it's not tiny either. At certain points I had the device and receiver about 15 meters apart from each other and could not get it to cut out no matter what I did. Very pleased with this! I eventually gave up on trying to get it to cut out, since it was not only staying connected but not even dropping out. Eventually I noticed on the Amazon page it boasts up to 2 devices connected simultaneously with a 10 meter radius. 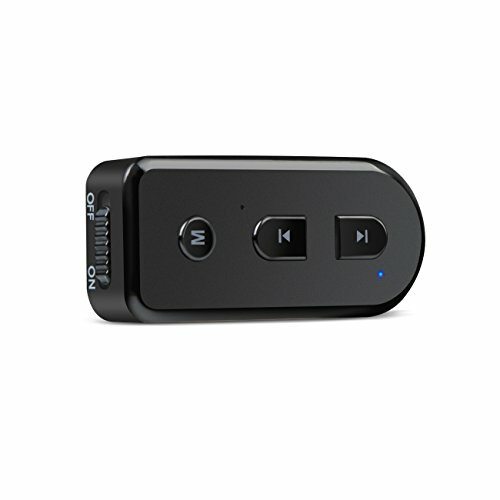 After a couple days of using it and A/B'ing each source with a DAC wired in with a cable to the amp and over Bluetooth with this receiver, I have to admit I can not distinguish between my FiiO E18 and this Bluetooth receiver. I can tell when I am using my AK4396 DAC instead because it provides a much stronger output signal, so I only need to turn up the volume a fraction of the way I need to with the E18 or FiiO. Plus, the AK4396 sounds a bit more revealing of details with better gear, but considering how well the Inateck holds up even with very nice gear, I am pretty impressed. 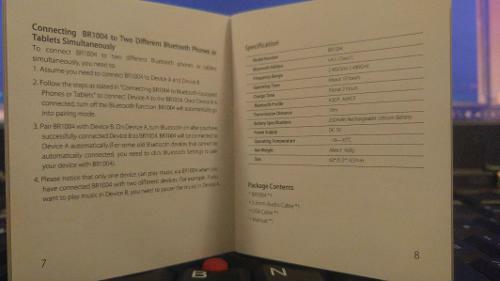 The BR1004 has some other features I did not test out. For one thing, it has Siri support, but I don't have a working iPhone to test that with. 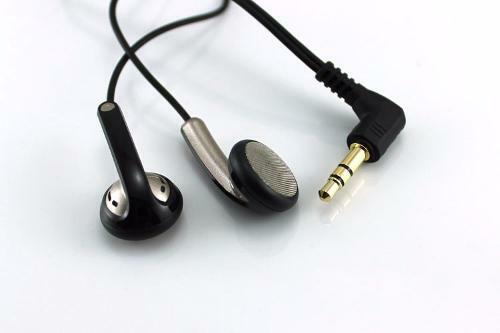 It also has a microphone so you can make calls with it, but I like making calls with microphone earbuds the best. I did however shortly try to record my own voice with Audacity, and found it was comparable in quality to a cheap inline mic. No big surprise there. It also advertises you can use it with headphones directly, but having other amps around, elected to instead use it as a line device. So, the question everybody wants to know, would I spend $27 on my own hard earned dollars on this? The answer is yes. However, from my experiences with past Bluetooth receivers, I would have never even thought to consider one again, as all others I had tried in the past were plagued with either bad audio quality, interference issues, range issues or some mixture of all of them. This is the first I have ever used I can honestly say did not anger me in any way and has proven not to suffer from the afflictions many other Bluetooth receivers suffer from. In fact, it is good enough that I am keeping mine next to my Technics stereo and taking down the long cable that ran up and back down my wall from where my DAC is, and the long cable from my laptop to the DAC. If I ever break it by accident I would not hesitate to buy another one, because it has found a permanent home plugged into my stereo receiver. 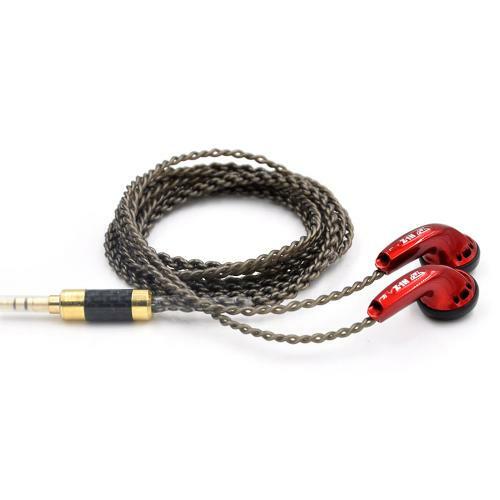 Because of the BR1004's reliability, good sound quality, and frustration free operation and setup, I am happy to recommend this, and can honestly say that if I had not been offered it as a review sample I would still find it very much worthy of the asking price. I am very happy considering I don't expect a $9 DAC to blow me away but is is certainly good enough to fit in a hifi system. Thank you for reading and thank you again to Inateck for offering this to me! drbluenewmexico, Hawaiibadboy, hqssui and 1 other person like this. 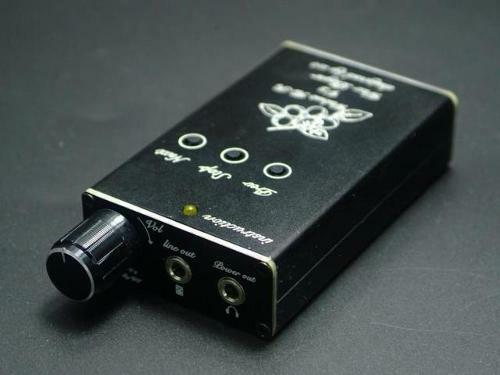 Could you test how it performs attached directly to some iems and headphones and bass eqed? I have a $4 bluetooth receiver that performs perfectly when used with an amp (Fiio e12) but when it is used connected directly with headphones/iems the sound quality is awful and most of all it kills all the bass. As i am interested in having a receiver that performs well with no bass rolloff while connected straight to iems and headphones. I just tried it directly. 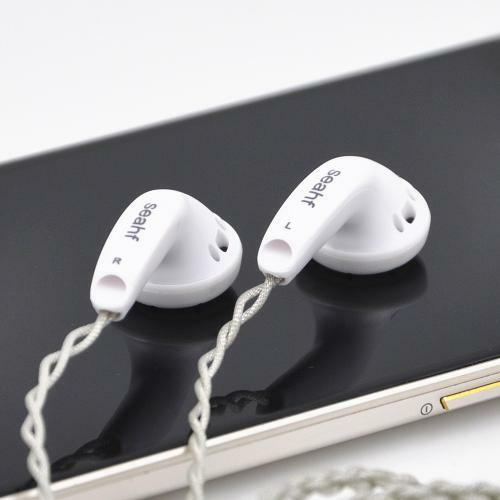 The sound quality is not as poor as I expected, and the bass remains certainly but it should be noted the maximum volume it is capable of is not so loud, and it is a little tricky to get it to change volumes.